Bitcoin isn’t the only alternative currency enjoying some momentum and buzz these days. BizX, an 11-year-old company that provides a trading mechanism for its BizX dollars, just scored $700,000 in Series A funding from angel investors … its first outside investment ever. Based in Bellevue, Washington, the company is different from bitcoin in that its alternative currency doesn’t involve currency exchanges. Instead, it functions as an alternative trading mechanism for roughly 2,500 firms, in a closed-loop system that is similar to a bartering network. BizX takes between 12 and 15 percentage for each transaction. The company, which reported 2011 revenues of $9.8 million, brokered around $60 million in transactions last year. Founded with $65,000 in 2002, BizX has been busy growing its list of participating businesses over the last decade. Now, with plans for a large expansion, it decided it needed outside funding. It got its financing from a group backed by Seattle investors Andy Liu (CEO of BuddyTV) and Rudy Gadre, a veteran of Facebook and Amazon. “The main difference between bitcoin and BizX is that there are real brick-and-mortar businesses trading our currency each day,” said Julia Christman, a marketing consultant at Atlas Accelerator and now also marketing director at BizX. Atlas builds sales operations for clients, figuring out how to monetize products and building sales teams and marketing channels. That mission ties in with BizX’s stated objective for its new $700,000 cash injection: to expand its business coverage nationwide. “We are investing in technology. We are going to ramp up our website, make it easier to search, and introduce some mobile applications to make payments easier,” Christman said. The company will also improve the transparency of its website, opening it up to show a list of which businesses are trading with BizX. BizX keeps its currency constant at one BizX dollar to one US dollar. The idea behind the currency is to enable businesses to find alternative ways to acquire new customers while also conserving cash. 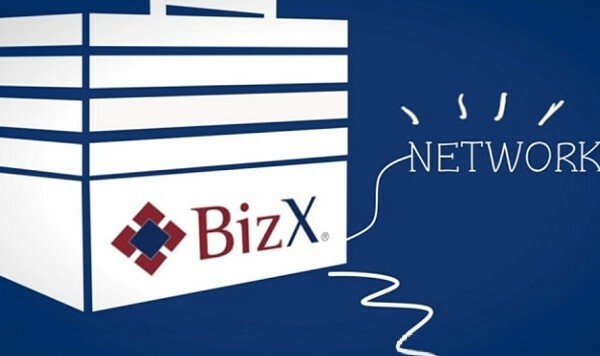 BizX also offers a line of credit for businesses, and Christman says that companies who can’t get a line of credit from a bank can come to BizX as an alternative. The alternative currency is taxable under US law. Companies create an additional bank account in their general ledger to record all transactions made on the BizX platform. When companies make a sale, they simply credit the revenue account, and debit the BizX account, in keeping with double-entry bookkeeping principles. The company also has affiliates in Singapore, Turkey, Malaysia, the UK and Australia.